Amyotrophic Lateral Sclerosis (ALS) is a rare and deadly neurological disorder affecting voluntary muscle movement. It typically claims victims’ lives about three years after symptoms begin. 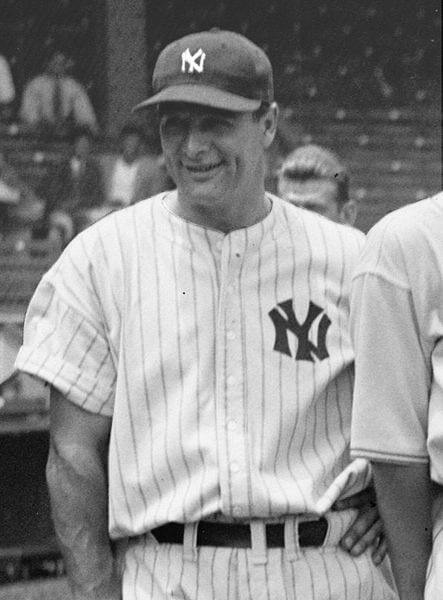 In the United States, the condition is more commonly known as Lou Gehrig’s disease, after the Yankees slugger who died of ALS in 1941. About 20,000 people in the U.S. have ALS and one in 100,000 people develop the disease per year. Despite years of research, relatively little is known about the causes and risk factors of ALS. This week, understanding of the disease moved a step forward with a study published in PNAS that identified several new genetic variants associated with ALS risk. A team of scientists led by Francois Gros-Louis and Jean-Pierre Julien of UniversitÃ© Laval in Canada analyzed genetic variants in the CHGB gene in more than 700 French and Swedish people with ALS and 750 people without the disease. Although most of the variants found in the CHGB gene were rare, one of the more common variants was markedly more frequent in those with ALS than in those without. The rarer T version of this SNP was associated with about 2.4 times increased odds of ALS, compared to the more prevalent C version. The SNP also seemed to affect age-of-onset: individuals with the T version of tended to develop ALS about 10 years earlier than individuals with two copies of the C version. One of the hallmarks of ALS and some other neurodegenerative diseases is the abnormal aggregation of proteins within cells. Many of these aggregations appear in organelles known as the endoplasmic reticulum (ER) and the Golgi network, which are tasked with processing proteins into their mature forms and readying certain ones to be secreted, or released outside the cell. Gros-Louis and his team focused on the CHGB gene because of its “guilt-by-association” relationship with SOD1, one of the few established genetic factors linked to ALS. Abnormal SOD1 proteins tend to aggregate in motor neurons of people with ALS, and recent reports have found chromogranin B, the protein encoded by CHGB, near these aggregates. Chromogranin B is typically secreted from cells like a hormone, and so the researchers hypothesized that genetic variants in CHGB associated with increased risk for ALS might impair secretion of chromogranin B. Sure enough, in cells with CHGB containing the T version of , almost all of the protein remained sequestered inside the ER/Golgi network. In cells with normal CHGB, only 40% of the chromogranin B protein was found there. Previous studies in this area have indicated that stress and damage to the ER and Golgi are a defining characteristic of ALS-affected motor neurons. Gros-Louis and his colleagues suggest that further research be done to investigate whether CHGB variants like stress the ER-Golgi system and hasten the deterioration of motor neurons.